There have been many attempts to define the generation of students who emerged with the Web and new digital technologies in the early 1990s. The term "digital native" refers to the generation born after 1980, which has grown up in a world where digital technologies and the internet are a normal part of everyday life. Young people belonging to this generation are therefore supposed to be "native" to the digital lifestyle, always connected to the internet and comfortable with a range of cutting-edge technologies. Deconstructing Digital Natives offers the most balanced, research-based view of this group to date. Existing studies of digital natives lack application to specific disciplines or conditions, ignoring the differences of educational fields and gender. How, and how much, are learners changing in the digital age? How can a more pluralistic understanding of these learners be developed? 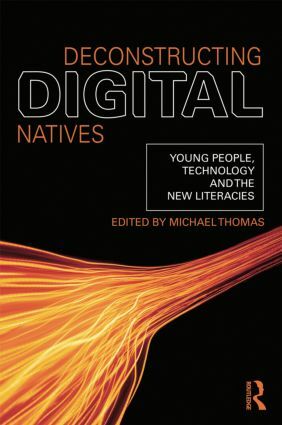 Contributors to this volume produce an international overview of developments in digital literacy among today’s young learners, offering innovative ways to steer a productive path between traditional narratives that offer only complete acceptance or total dismissal of digital natives.